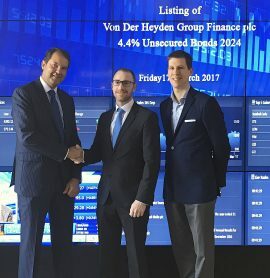 We are pleased to announce the successful public offering, placement and listing of our € 25 million 4.4% unsecured bonds 2024 issued by Von der Heyden Group Finance p.l.c. guaranteed by TIMAN Investments Holdings Ltd. 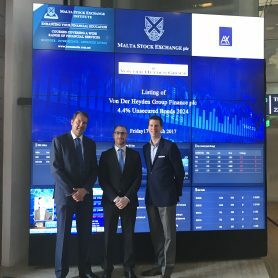 The Bond is approved by the Listing Authority and trading on the Official List of the Malta Stock Exchange commenced on March 20, 2017. 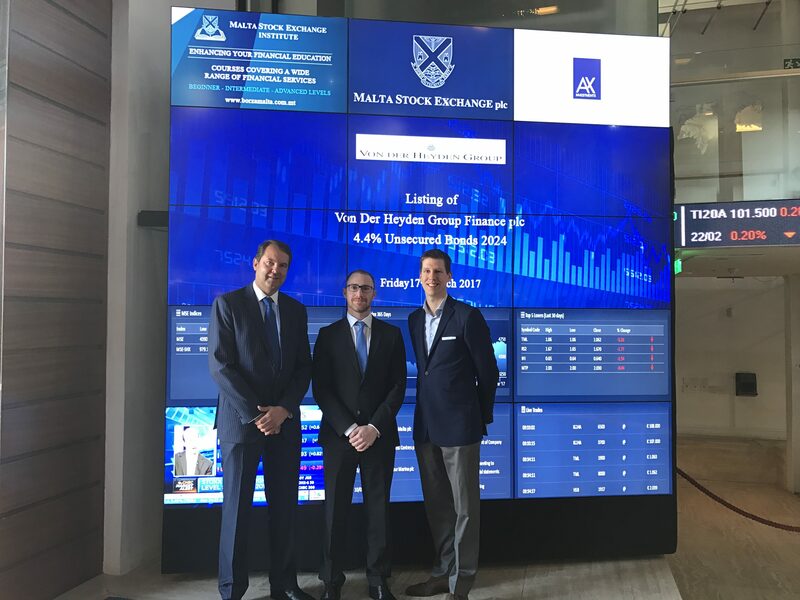 Malta Stock Exchange CEO Simon Zammit welcomed the company to the fold and congratulated its Chairman Mr Sven von der Heyden and its Executive Director, Mr Robert Rottinghuis as well as Nick Calamatta of Calamatta Cuschieri on the achievement. 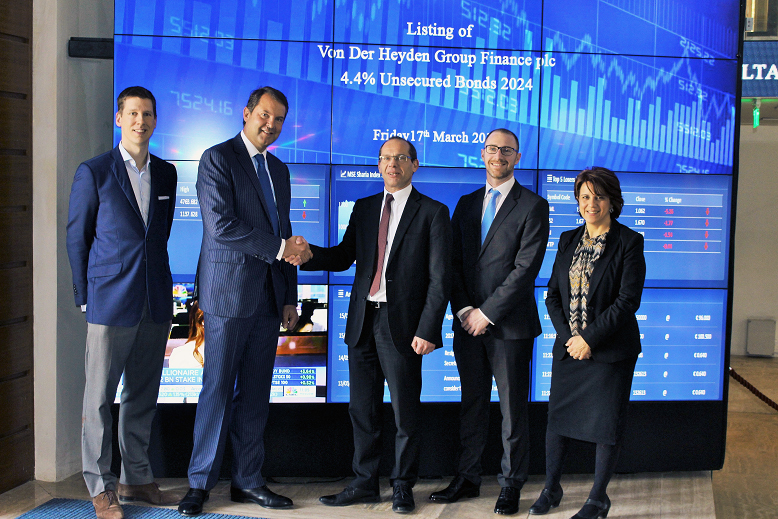 Von der Heyden Group Finance p.l.c. 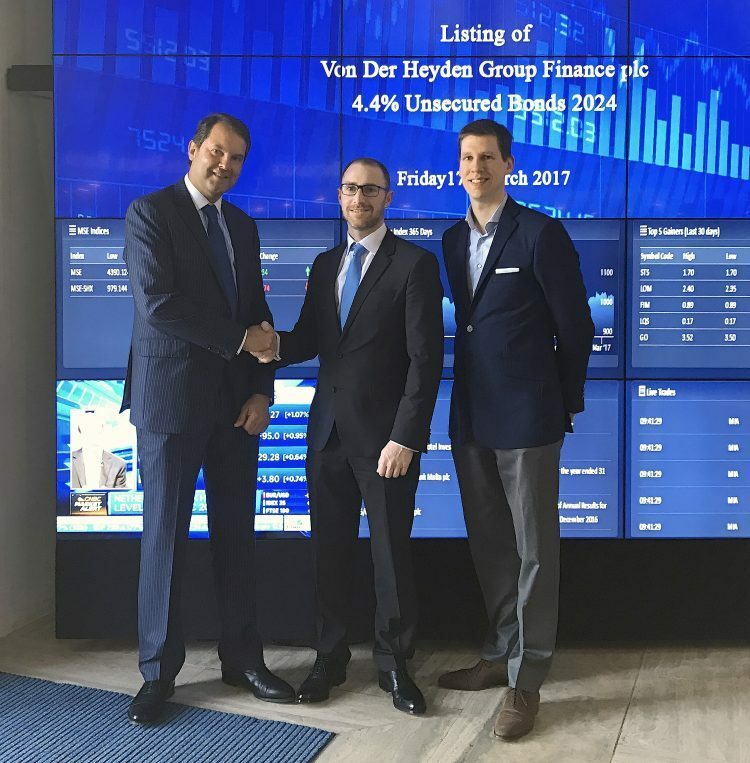 forms part of Von der Heyden Group (VDHG) which is a high quality niche player on the European Real Estate Market and has been successfully developing Class A Office buildings and Hotels in always top central and strategic locations in Germany, Poland and Spain. The Group is commonly known for its high-end finishes and quality, and at all times achieved record prices for its award winning projects, when sold. 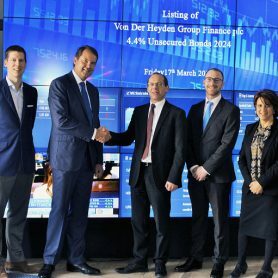 With over 25 years sound experience and continuing presence on Europeanarkets, VDHG enjoys the trust of international financial institutions, funds and big market players, as well as embassies, governmental institutions and cities. Since 1989, a volume of investment of around Euro 350 million has been achieved in Poland, Germany and Spain. There are plans to invest further 175 million during the next 3 years, including equity and debt. New country of investment includes Malta.